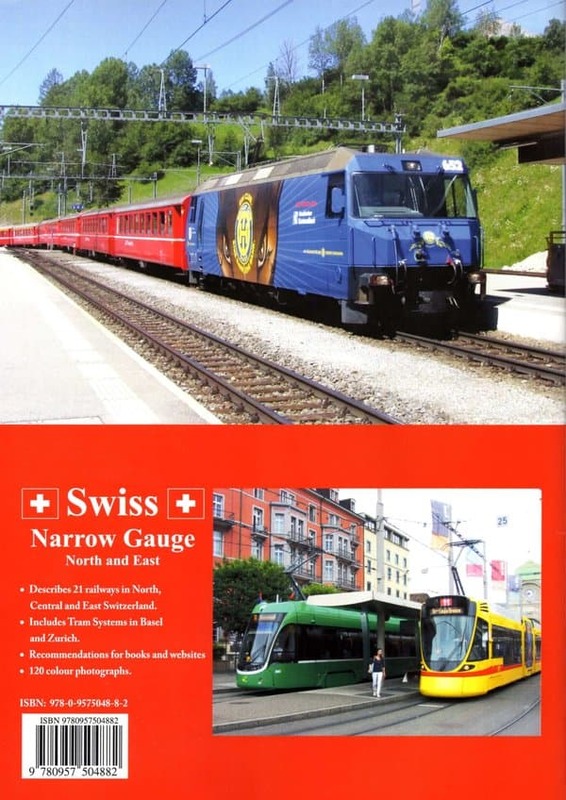 This is an updated, second edition of Swiss Narrow Gauge Volume Two: East, now including trams. 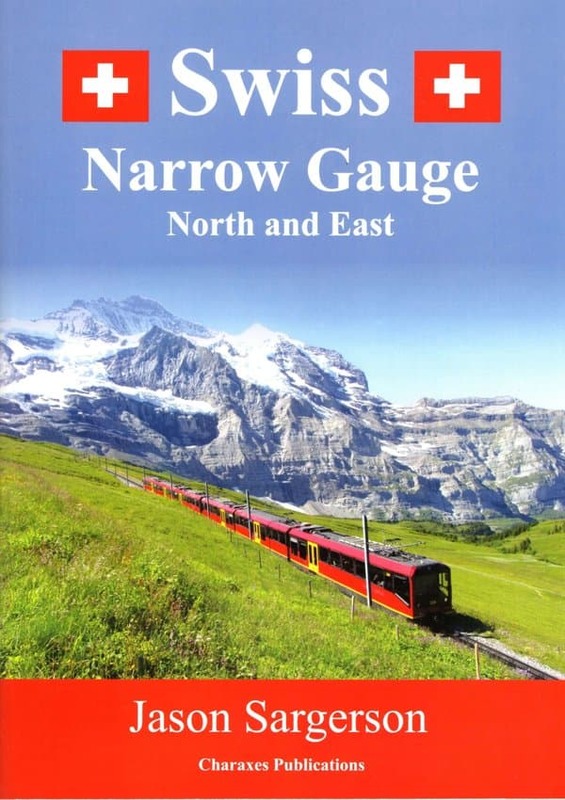 This is a guide to Narrow Gauge Railways in North, East and Central Switzerland. Each railway is described in terms of their location and type of line. The key motive power is described and the route of the line. Heritage or historic services are mentioned if applicable. 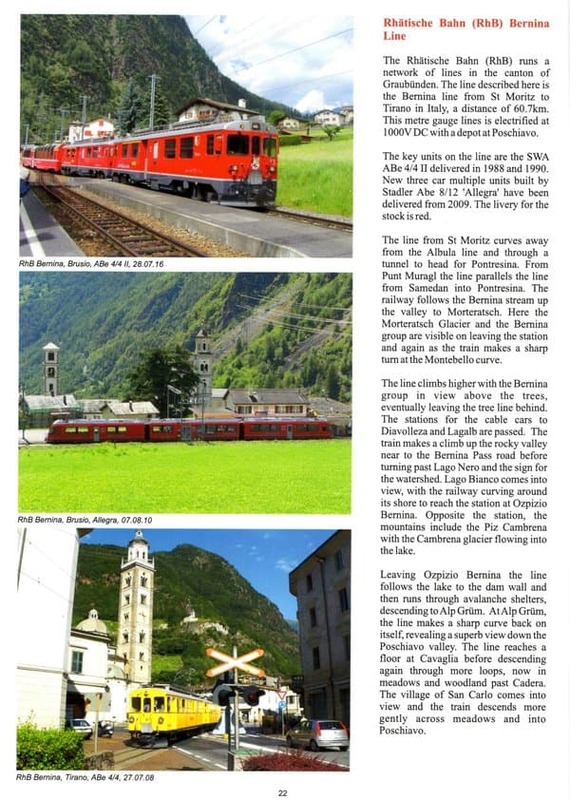 Photographs illustrate the railway in the landscape, in the town this includes churches, stations and other buildings, in the countryside this includes lakes, rivers and mountains. 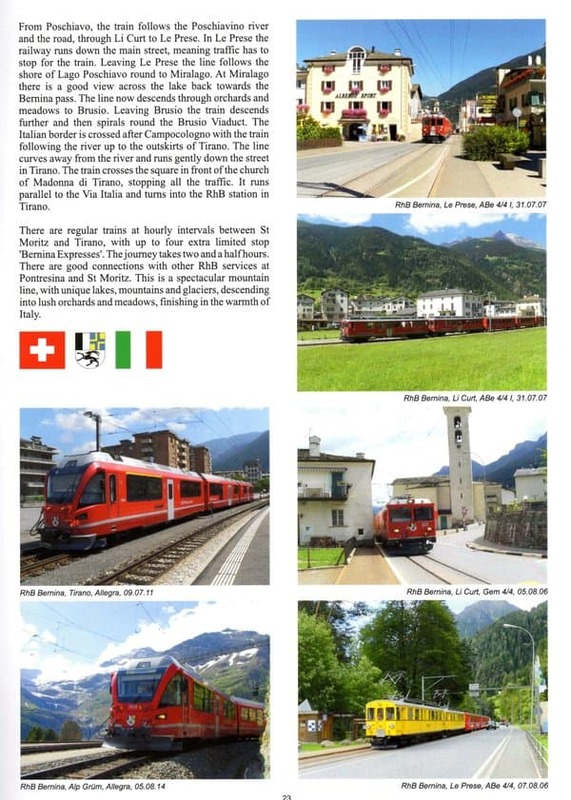 All photographs are identified by railway, place, motive power and date. to credit my bank account directly. Ian Allan Bookshops (London and Birmingham) stock my books. Platform 5 mail order (Telephone 0114 255 8000) can take overseas orders. They have stocks of my books and can supply worldwide.